In Vino Veritas: Where to Study for a Winemaker? Many people agree that you can’t go anywhere without a higher education. If your soul does not lie to law, accounting and finance, you can get an equally demanded and promising profession – to become a winemaker. Oenology, or the science of wine, covers all aspects of winemaking, except for viticulture – the cultivation and assembly of grapes, which is usually studied in conjunction with it. Most programs also include courses in biotechnology, chemistry, microbiology, business and management in the wine industry, so this direction guarantees not only fascinating student years, but also a versatile and practical education. The first and obvious choice of the one who decided to dedicate his life to winemaking is the French Bordeaux region, where wine traditions go back to the times of Ancient Rome. The wines produced here by private farms, or “chateau”, are extremely diverse and known throughout the world. Bordeaux is the second wine-growing region in the world after the French Languedoc. At the University of Bordeaux, you can obtain a master’s degree in Master in Vineyard & Winery Management or Oenology & the Wine Environment. Or rise your education level with a doctorate in Oenology & Viticulture. Training is conducted in English. The University trains professionals who combine technological knowledge with business administration skills and will be able to develop the industry in the modern world successfully. The cost of the master’s program: € 10,000 a year. Information about the process of admission can be found on the university’s website. 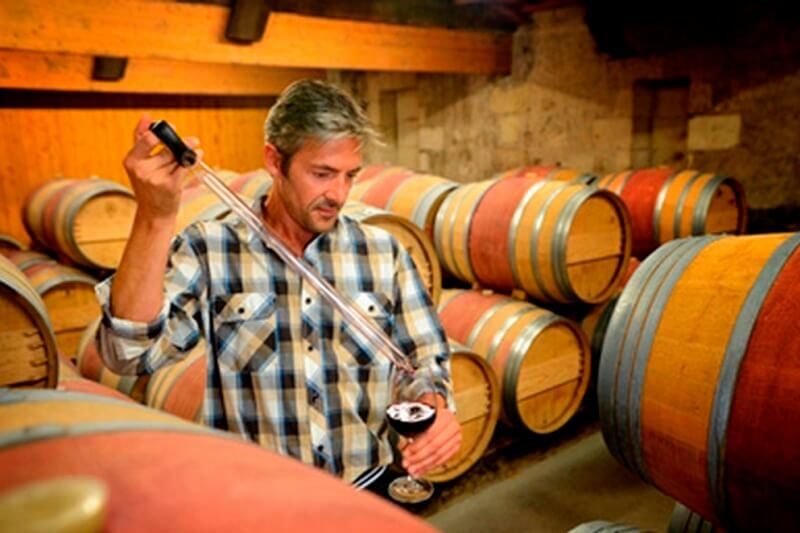 Preferred Burgundy wines can be received at the Institut Universitaire de la Vigne et du Vin “Jules Guyot” at the Dijon University of Burgundy. Here you can get an official national diploma of an oenologist or a master’s degree Master Pro Vigne, Vin, Terroir. Students get a comprehensive view of the history of winemaking, the biochemical processes underlying it, viticulture, technological niceties, marketing strategies and the social and economic component. Details of admission for foreign students can be found here. To study winemaking in sunny Tuscany, where architecture recalls the times of antiquity and the Renaissance, landscapes inspire creativity, and the air is imbued with Italian zest for life, is not a dream, but a very real prospect. The English-language program of the Florence University of Arts Wine Studies and Enology lasts one year. During this time, students join such promising disciplines as Wine Appreciation and Wine Communications, bring together Tuscany and Wines classes in Tuscany and expand their knowledge, studying the wines of Italy and the world. Also here you will learn the fine art of combining wines with different dishes. For more information on admission and fees, see the website under Undergraduate Admissions. In the Catalan University of Rovira and Virchilia you can get a bachelor’s degree Grado en Enoligia. The training is conducted in Spanish, Catalan, English and French and lasts four years. Applicants are advised to have a basic knowledge of mathematics, physics and biology, which will be needed to successfully master the program. The course details all aspects of the process of making wine, so that at the output you will perfectly master both the theory and practice. The cost of training depends on the number of credits collected. It can be calculated here. Register for the program here. Another great option is the two-year master program Erasmus Mundus Master on Wine Tourism Innovation (WINTOUR), which is jointly implemented by the University of Rovira and Virchilia, the University of Bordeaux and the Portuguese University of Porto. Students spend one semester in each of the three universities and then are trained in partner organizations. In addition to the winemaking technique, students acquire knowledge in the field of tourism and marketing, becoming unique and sought-after specialists. Cost of the program: € 4,500 per year for students from EU countries, Turkey, Macedonia, Liechtenstein and Norway, € 9,000 for other partner countries. There is an opportunity to receive a scholarship. For admission, you must fill out an online application. The next steps are listed here. Germany is traditionally ranked among the “beer” countries, thereby unfairly offending German wines and antiquity vine-making traditions. University of Geisenheim offers a diploma in Bachelor of Science in International Wine Business. This is an English-language program that, in addition to wine specificity, covers aspects of business, management, marketing and economics. Also, it is free, like most higher education programs in Germany – you will have to pay only a semester student fee of € 305, which covers the travel for public transport. For admission, you need knowledge of English at a level no lower than B2 (TOEFL from 80 points, IELTS from 5.5, FCE – from B). Knowledge of German is not necessary, but it is welcomed. The application is submitted through the uni-assist system until August 15. Few people know that at the universities of the famous Ivy League you can master “the science of the vine.” Wine-making in the region is rapidly developing, and the need for qualified specialists is growing, so Cornell University annually recruits students for one of the world’s best programs in viticulture and enology. An innovative approach to the cultivation of grapes, the breeding of new species, the arrangement of vineyards and the multistage process of wine making – all this can be learned in Cornell. Here you can get a bachelor’s or master’s degree. At Boston University, you can enroll in the Wine Studies program, which is implemented in four levels. The first two students are enrolled without training, but the next steps are designed for those who want to hone their skills. The world of winemaking opens before students through exciting lectures and seminars, inevitable tastings and a significant amount of additional reading. At the first level, you will gain basic knowledge about the types of wine, grape varieties and winemaking regions, learn to classify wines through tasting, gain an understanding of enogastronomy – the art of combining wine with various dishes – and the very process of growing grapes and making wine. Having reached the fourth level, you will turn into a professional, able to determine the bouquet of wine for taste and smell, who knows the terminology and understands the actual processes and trends of the wine industry. The cost of the first level is $ 1,100. To apply for the program, you need to register on the site and pay the cost of the course. Specialists in the wine industry are study at Oregon University. The state of Oregon is often mentioned in the context of the hippy subculture – it hosts many festivals, fairs and congresses of representatives of this movement to this day. In the 1960s, the hippie communes that abandoned the consumer society and subsistence farming in harmony with the outside world played a major role in reviving the Oregon wine industry after the Dry Law. According to many experts, the Oregon Pinot Noir is in no way inferior to its Burgundian prototype. Oregon University is one of five US universities where you can get a bachelor’s degree in winemaking. Students can choose a program with a focus on oenology based on biology, chemistry and physics. If the emphasis is on wine cultivation, you will be faced with the decision of numerous cases, the study of the social and economic underpinnings of the industry, which ultimately allows you to not only know the profession thoroughly but also be an effective manager. Another interesting option is a course detailing the technology of fermentation. Here we study the biological, chemical and physical bases of fermentation, engineering, aspects of public health and other disciplines. The university also offers a variety of postgraduate programs. Application for the program is submitted online. In sunny California, you can get education in the wine business. The University of Business and Economics of Sonoma is preparing future global industry leaders. You can apply for a bachelor’s program Wine Business Strategies or get an MBA in Wine Business. By the way, Certificate in Wine Business Management can be obtained online. This program is suitable for professionals who want to acquire managerial and business skills and make useful connections, as well as those who just decided to connect their lives with winemaking. The Mente Argentina educational organization, which lasts 2, 4 or 8 weeks, will help to understand the secrets of the Argentine Malbecque production, depending on the intensity of the course. Under the guidance of experienced experts, participants will taste more than 50 elite Argentinean and international wines, visit the famous wine regions, learn to combine wines with regional dishes and get acquainted with the vibrant and dynamic culture of Argentina. Training is conducted in English. Also, Mente Argentine helps participants in their programs find accommodation and adapt in an unfamiliar environment. The cost of the course: from $ 1,250. To enroll in the program, you need to register on the Mente Argentina website and submit an online application. The Argentinean Wine Institute offers a wide range of programs in enology, marketing, wine tourism and business, special linguistic courses for those who want to master the wine terminology in English, French or Portuguese, as well as sommelier courses. The institute has branches in Buenos Aires, Mendoza, Salta and Santiago (Chile). Especially for foreign participants, intensive programs of 1-2 weeks duration are offered: Viticulture and Argentine Winemaking and Argentina, a Viticultural Country. They are built on the principle of active participation and will allow you to get acquainted with Argentinean agriculture at a dynamic pace. Participants will be able to visit different wine regions and apply the acquired knowledge in practice. At the Faculty of Agronomy of the University of Chile, you can obtain a diploma in the direction of Fisiologia de la Vide de Interes Enologico. This program aims to study the influence of wine on metabolism and other processes occurring in the human body. Students are expected not only to get acquainted with Chilean wines and general principles of oenology, but also many hours of biology, physiology, chemistry and other sciences, giving an understanding of how wine affects a person. The cost of the program: $ 1,750. Established in 1979, the Cape Wine Academy is a world-class educational institution. Its branches are located in the regions of Gauteng, KwaZulu-Natal and Western Cape. The Academy offers numerous courses for individual participants and groups, and organizes tastings for corporate clients. You can start learning here by immersing yourself in the technology and traditions of South African winemaking within the Certificate Wine Course. The course consists of seven evening lectures on the wine industry and different beverages produced in this region: wines, sherry, brandy, port, sparkling wines. Each of the lectures naturally ends with tasting and discussion, and at the end of the program, the participants are waiting for the exams. Successful completion of the introductory course will allow students to continue their studies at the Diploma Wine Course, which guarantees a detailed acquaintance with the wines of the Old and New Worlds. The course consists of four modules: Global Wine Production, Wines of France, Wines of the Old World, Wines of the New World, each of which ends with a written exam. Classes are held in the evening in English. Also, the most diligent students will have the opportunity to obtain the highest degree of Cape Wine Master, having passed the appropriate course and passing the exams. The cost of the introductory course: $ 220. The cost of the main course: $400 per module. When booking four modules, the student immediately receives a 10% discount. To book a course, you need to contact the organizers through the form on the website. The University of Stellenbosch offers undergraduate and postgraduate education programs in the field of viticulture and winemaking. He has been closely involved in the wine industry since the 1880s, and in its present form the Department of Viticulture and Enology has existed since 1995. Here, serious research work is carried out using innovative technologies. The application procedure and the list of documents required for foreign applicants are detailed here.